Make their party special with a personalised photo card. Whether it's a sweet sixteen, the big Five-O or the first of many to come, special birthdays deserve to be announced with an equally special party invitation. From themed cards for kids to simple, classy designs for adults, at bonusprint we have an array of birthday invitations and cards that are guaranteed to set the mood for what is sure to be a memorable occasion. And to ensure that personal touch, all of our birthday party invitations can be fully customised to reflect the character of the birthday boy or girl. When it comes to kids party invitations, we have all the glitter and sparkles you'll need. Fun and colourful, our childrens party invitations feature pirates, princesses, unicorns, fairy castles and other popular motifs. Plus if you want to get creative, you can always make use of our clip art tools to give them that final embellishment. 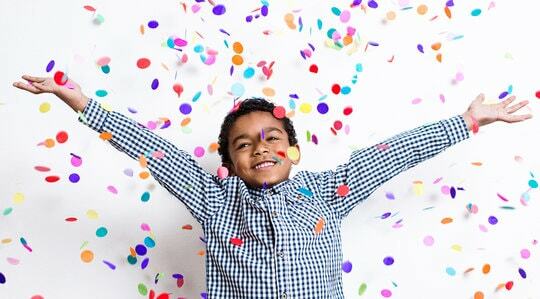 No matter the child's age, you can select a kids birthday card that proudly tells the world how old he or she is going to be in a style that's all your own. And because they're made to last, friends and relations will want to put these children's birthday invitations away with other treasured family mementos. 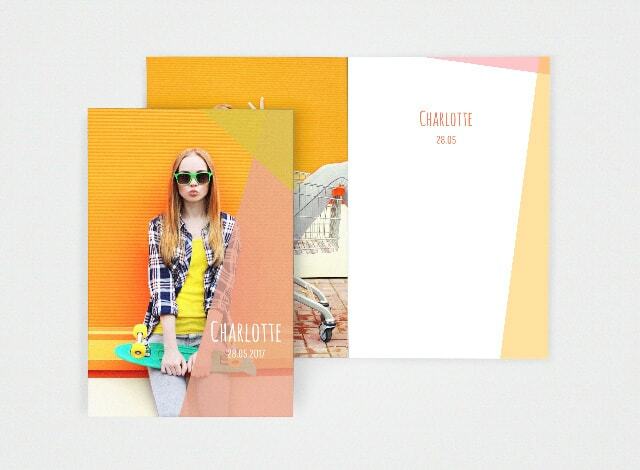 With bonusprint, you can create a fully personalised party invitation and personalised birthday cards. To do this, select a template, then click on the “personalise” button in the drop-down menu. Our easy to use editing suite will take you through all the steps of developing your personalised birthday invitation. Whether you just want to make one or two small tweaks or some major alternations, the process is quick and hopefully very enjoyable. All your thought and attention to detail will reap its reward when you see how people react to your personalized party invites. There are many advantages to using bonusprint's party invitation maker. By making your own party invitations or personalised birthday cards, you can ensure that you have a card that reflects the theme of the occasion, be it a boisterous evening of music and dance for teens or a thoughtful get-together for old friends. Likewise, our birthday invitation maker will help you to capture the spirit of whatever watershed you're celebrating, whether it's turning seven or coming of age. Best of all, with our online birthday card maker, you can make as many or as few changes as you want, leaving you in complete control. Browse through our selection of templates, and you'll find a range of dynamic and adventurous boys party invitations, as well as lots of cute, vibrant party invitations for girls. For the older, more mature boy, there are party invitations striking a relaxed, casual vibe. Meanwhile teenage girls are catered for with birthday invitations full of cheeky high spirits. Using our creator tools, you can change frames, layer graphics and upload photos. You can explore different typefaces in playful script and punchy capitals, and choose between funky hues and more subdued, masculine tones, all to achieve an overall effect that will really grab the attention of your target audience. If none of our pre-existing templates fit the bill, why not design a party invitation or card from scratch? Just select one of our blank templates and begin from there. This will put you in charge of your birthday invitation design from start to finish. No matter if you're gathering a few acquaintances for tea and cake or celebrating a major anniversary, you'll have no problem creating a party invitation that sets the tone and piques interest. Similarly, you can create invitations for birthdays of all kinds, from the low key to the loud and brash. Our beautiful birthday invitations come in an array of different styles. We have vintage birthday invitations featuring roses, rustic chalkboards and other traditional touches. Or for something more modern yet also extremely elegant, there are birthday invitations with a sleek, minimalist look. Whether you'd prefer something bold or subtle, sweet or humorous, by the time you've personalised them, our birthday invitations will have a unique appeal. There's no better way of personalising your card than by adding a photo to your birthday invitation. 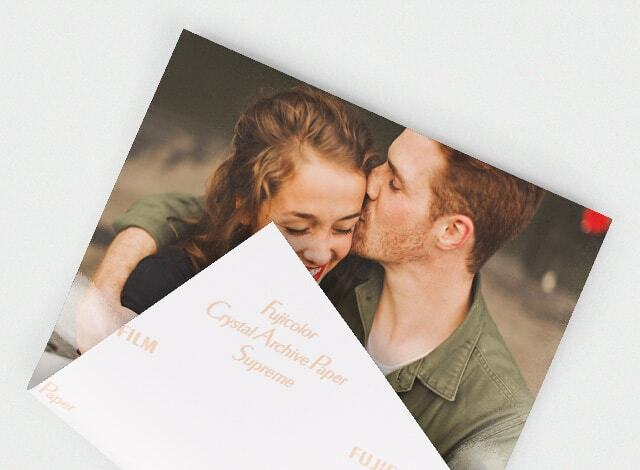 Whether you opt for a smart studio portrait, a hilarious candid snap or an inspired selfie, photo party invitations put the birthday boy or girl at the centre of attention where they ought to be. And if you can't settle on one image to say it all, you can always design a party invitation with a photo collage showing different facets of their character. When you print your birthday invitations, everything is up to you. Before you start, you can choose from portrait, landscape or square designs. You can also print your own party invitations in a selection of formats – one-sided, double-sided or folding. In addition, you can opt for different kinds of premium paper depending on whether you would prefer a glossy or matt finish. We even have creamy, extra-thick paper for those really important occasions. Yet even with all these decisions to make, printing out your own birthday invitations is fast and straightforward. Buy party and birthday invitations at bonusprint! When you buy party invitations from bonusprint, you can purchase as few as ten birthday cards, or request many more. If placing a bulk order for birthday invitations online, it's well worth dropping us a line through the form on our website to see if we can offer you a discount. All cards come with their own attractive envelopes. Just remember, when you buy birthday invitations from us, you can always return them if you're not truly impressed by the quality of the finished article. So why don't you select a template and get designing?